There’s an old Russian proverb that says, “He who looks over his shoulder loses one eye; but he who does not and forgets the past, loses both.” One benefited greatly by possessing a good range of motion in the neck region during that great 60 & 3 era, because keeping an eye on the posse coming up the rear was equally important as a forward-looking vision to attainment of playing time. 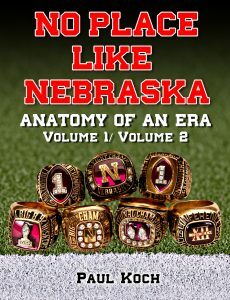 One late-comer to the rat-race of the Husker Receiving Corp was John Livingston, and he provides another keen and quintessential insight into the culture, the quality, the character of, and the characters on those years’ rosters. Initially an Arizona State Sun Devil for reasons odd and perhaps ill-advised, a change of heart and spurt of maturity led him to a rare second-chance at wearing the Scarlet and Cream and the infamous N.
“Culture is like the air we breathe”, says Charles Sherlock, author of The Doctrine of Humanity, “Unless we are ill or are making a deliberate attempt to concentrate on it, breathing is something we take for granted. 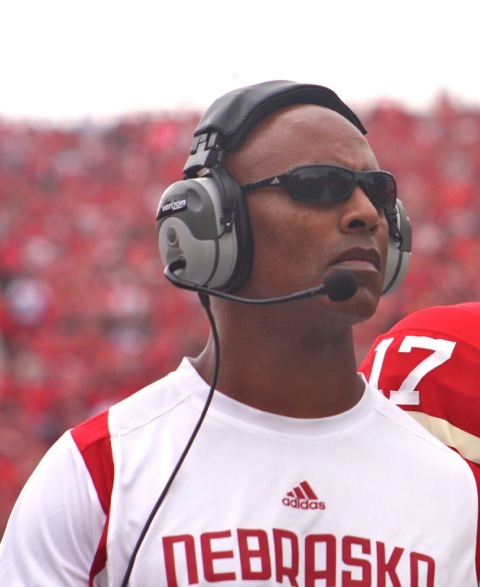 So it is with culture; unless we deliberately focus upon it, or move to live in another culture, we are largely unaware that we are ‘cultured.’” Here we’ll get a sense of two competing college football cultures via comparison and contrast, his open and unvarnished thoughts on display for us now from a pure Husker heart. 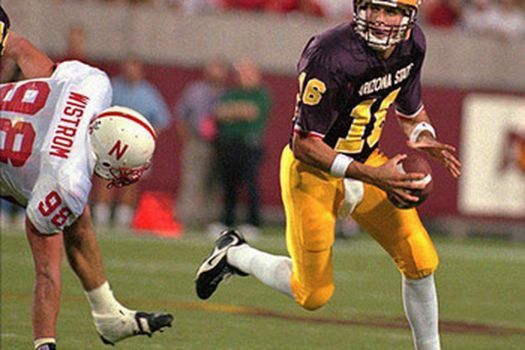 Give John’s sentimental journey a listen, as I believe this last player to be interviewed more than adequately sums up the Big Red spirit as we near the close of our quest. Q: For starters, where did you grow up? JL: I kind of grew up all over the place in California and Hawaii. My mother was a single mom and she got accepted for a PhD in Psychology program at the University of Hawaii. And right around the time I was the age of six she just kind of picked us up and moved us to Hawaii. And after about eight or nine years she met my stepfather and they got married, then we moved back to the mainland and lived in San Diego for a while. And then I moved my way up the coast to Riverside County and went to high school in a very small town called Hemet. My mom had a lot of allergies, so we constantly moved, and we moved there. And at this point I was fairly tired of moving and liked the town -and it was a small town- and I was a young man who enjoyed the sport of football and liked to play football there, so I told her, ‘If you don’t mind, I’d like to stay here.’ And a friend of mine, his parents, I lived with them during football season and that’s how it all started. Q: So directly after high school you attended Palomar College in San Diego, right? JL: Yes, I was heavily recruited and it was quite overwhelming. I think my football career was quite different from so many of the other guys’ you’ve spoken with. I’m certain, because after moving back from Hawaii I really hadn’t played football until my sophomore year in high school. I’d played soccer and ran track and did all those things, but coming back to the mainland American football was the sport of popularity and girls and all that stuff, (laughs) so subsequently I decided to switch over. I’d watched my whole life and appreciated it and started playing then. Anyhow, it was so overwhelming, and I did very well in high school. We were a poor team and went 3 & 7 my senior year in high school. And it’s kind of one of those things of happenstance, because we played a team in our league where other players were being heavily recruited, and I had one of those really good games where I had like three touchdowns and a hundred-some odd yards. So then I start getting heavily recruited. Well, my parents -and my mom especially– they knew nothing of American football. 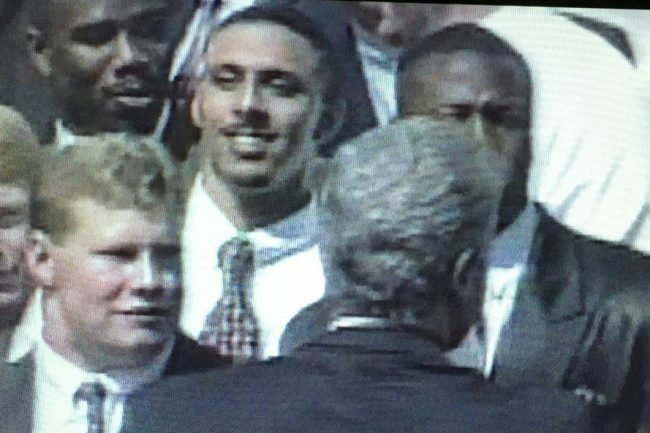 UCLA was kind of my dream school -being from Southern California- but the coaches at the time had mentioned that they’d seen how highly recruited I was -and of course, back then they had some very premier receivers- and suggested that I walk on. I said, ‘Well, this is a young man whose room is filled wall-to-ceiling with letters from all over the country, and this is the place I want to go. What can I do to make this happen? I can’t afford to go to UCLA and pay for my school there.’ So they recommended a junior college in San Diego. My heart was set on it to go down there and this great wide-open passing offense, so that’s how I ended up at Palomar. The coach was Tom Craft. Q: So you played a year at Palomar? JL: I played the first year I got there. We were a national championship team. I played kind of sporadically; we had two All-American wide receivers. My second year there was really my first year starting and playing and that’s when things first started to sprout, because I led California in touchdowns and receptions and that kind of stuff. So talk about quadrupling the recruitment and all that kind of stuff that occurred? Yeah, it was insane. Q: Again, Division I colleges are coming after you calling and such… and Arizona State caught your eye? So after being recruited heavily I kind of narrowed my choices down to take a few trips, but when going through that whole recruiting process I became very emotionally connected with a very small list of coaches that I’ll never forget for the rest of my life. 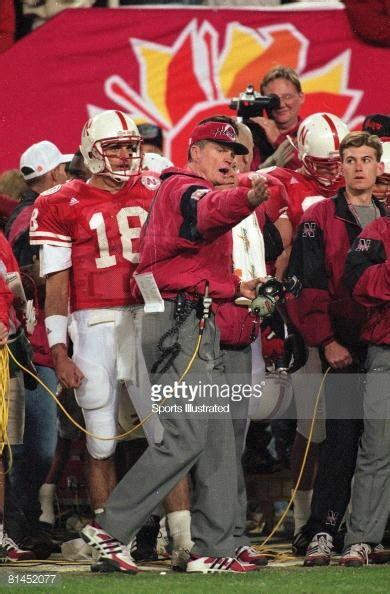 Of course, there was Ron Brown from the University of Nebraska and oddly, Urban Meyer, who was then the receivers coach at Colorado State, and also the receivers coach at Arizona State, and finally Hayden Fry, who was the head coach of Iowa at the time. It was just mind-blowing. I was kind of going through all these emotions; I was having stomach cramps and still finishing up my junior college degree. So my mom, she was my agent basically; she was speaking to these guys more frequently than I, and we basically narrowed the decision process down to Nebraska or Arizona State. And again, it was the most difficult decision ever in my life at that time. My heart was with Coach Brown and Nebraska, but again, that nineteen-year old inflated ego was thinking differently as far as what the priorities were. And my whole understanding of the complexity and depth of programs and the traditions? A lot of that stuff didn’t really come until much later. I knew of teams from watching and hearing about them, but essentially I took a couple of trips. I went to Iowa and it was a great trip, and then I got really sick there; I’d never been to snow before except for mountains in Southern California. There were great coaches there. And then I took my trip to Nebraska and then a trip to Arizona State. I think overall, it was like you say, thinking about it from the scope of a nineteen-year old, you didn’t really think very wisely. And I really didn’t have a whole lot of guidance. I wasn’t as connected with my coaches as a lot of other players are, or were, so I didn’t have much guidance. I basically had my mother and my step-dad. Well, again, a nineteen-year old kid with ego says, ‘I want to believe that, but…’ (laughs) Bottom line was, it was very difficult decision. So I go to Arizona State (and my wife’s sitting next to me so I’m gonna keep it as pure as possible) (laughs) but I had an incredible… too much fun for a young man to have. And my football? I kind of lost focus as to why I was there and why I was invited to be there and given this chance: a full athletic scholarship. Anyway, long-story-short is: I went down and I didn’t take things seriously, and around the fourth game Coach Snyder called me into his office and said, “We’d like to redshirt you.” And, again, a nineteen-year old with ego, I said, ‘Are you kidding me? I could have gone anywhere in the country and you want to redshirt me?’ I called up my mom and I said, ‘Mom, is there anybody that’s still around?’ And not even remotely in my mind did I think that Nebraska was going to be an option, you know? That year when they were obviously a field goal away from beating Florida State, she had been keeping in communication with Coach Ron Brown. That’s how close they had gotten. Q: I didn’t know that. Son of a gun! JL: Yeah, California guys… we somehow got to know each other and moved in with each other. When I first got there -I don’t know if it was their policy- but you had to stay at the dorms. And I roomed with a local fellow who was from one of the small communities outside of Lincoln, and it was in the same dorm with all the freshman football guys. Q: Brian Nunns, Grant Wistrom? Q: So you and Lawrence were roommates for how long? JL: For the year I was there in 1994. And after I left I don’t think he had another roommate there. We had a great relationship, I mean, years ago… again, this is going back fifteen or whatever years when all this stuff was getting really blown out of proportion and all this stuff was going on. 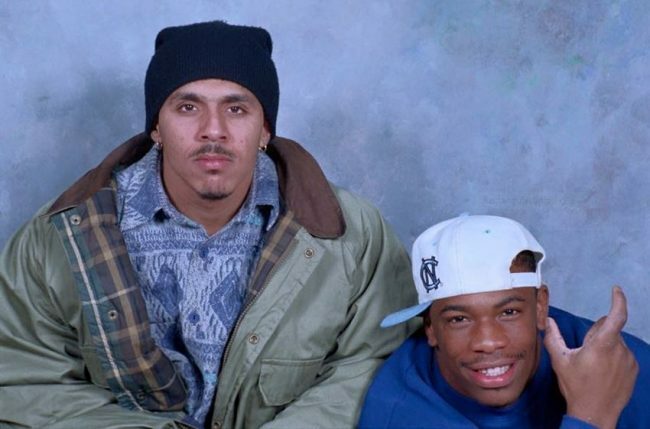 Some newspaper people called me and I refrained from wanting to speak on the issue, but one thing I let them know was that, ‘You guys really have to understand Lawrence’s past. And although I don’t condone anything that he may have done (I witnessed a considerable amount of stuff) I just think there’s a large amount of stuff the poor guy went through in life.’ And a lot of people don’t understand that. Q: Walk a mile in his shoes and you might understand him a little better? Q: So you arrived on campus in the fall of ‘94? JL: Actually, I got there right after New Years, January ‘94. Q: You showed up just in time for Unfinished Business? Q: What stood out to you as far as being different from your Arizona State experience? JL: Oh God: the people, the community, the fans, the media. There is nothing… nothing like what I had experienced. I had no idea. 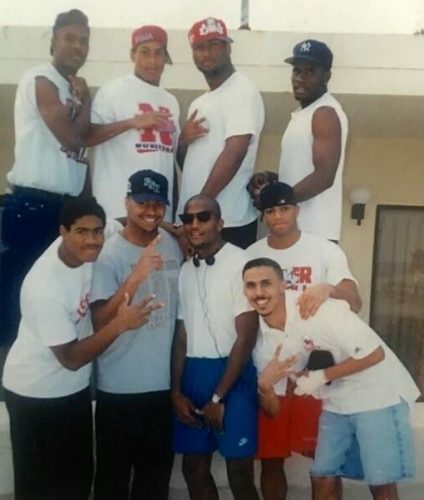 I was a young individual who didn’t really know what it meant to be a Cornhusker or what it meant to be a part of what that entailed. Again, my football knowledge was fairly limited. I knew, obviously, that it was a great program, but I didn’t know what that meant. Getting off the plane, there were people there to meet me at the airport. It was unbelievable, I was just, ‘I’m nobody. I’m just some guy who’s coming here.’ The mystique is definitely what it was all about. When I was on campus and would go to classes and meet people, it was just phenomenal. You look back, and there’d be Darin Erstad, I used to goof around with the guys in practice where he’d be like third team defensive back going against us and I’d say, ‘I hear you’re a pretty good baseball player. I’m gonna end that if you mess up my route here.’ (laughs) And then the guy was an Angel. It was unbelievable, but it was phenomenal. The people were just unbelievable, from the secretaries to the staff at the tutoring center. And I didn’t even know who some of these people were. I’m in the study hall and Johnny Rodgers is signing us into the study hall and I didn’t even know who the guy was, to be quite frank. And then after walking the halls and seeing trophies and finally finding out that this guy was so and so, I was like, ‘My God!’ I mean, those type of things are all around you and it’s overwhelming. That was it. Q: In comparison to a few weeks previous at Arizona State, how would you compare or contrast the culture? But anyway, the weightroom and the training table… oh, my God, the training table! The facility was, bar none, like a five-star restaurant. At ASU it was kind of like a very small buffet in the one of the stadium rooms, but at Nebraska it was chefs and king crab legs. You were just eating, literally, like a king. You talk about compare and contrast? You’re talking about macaroni & cheese at ASU to crab legs at Nebraska. Q: (laughs) I remember on special holidays we would have those crab legs, John. And guess what, just a few months ago in preparation for my 42nd birthday I did the old metabolic power workout in the months leading up to that. I felt like I was 25 years old again! JL: Oh, God. That’s great. And I remember the Marines would come out and work out with us. Some local Marines or whatever would come out and try to pull this thing off. It’s insane.